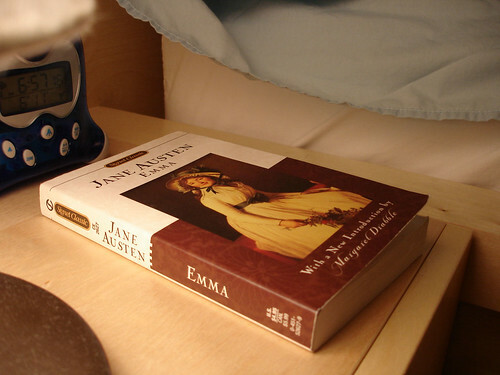 Emma is one of the great classics of English literature. It has many resonances for us today. Not only was there a wonderful film adaptation with Gwyneth Paltrow as the eponymous lead, the hilarious film Clueless with Alicia Silverstone was also an updated version of the story, which goes to show how relevant the story is today. The main lesson from Emma is for those who are more fortunate than others in their birth or education should not look down on those who aren’t. It seems a basic lesson, but it clearly needs to be said again and again. Though Emma associates with ladies who are from a respectable family but poor, she is cruel to them and makes small jokes with a friend that she thinks the ladies won’t understand. It’s only when Mr. Knightley takes her to task that she realises how badly she had behaved. Nobody could be better described in this way than Mr. Elton and, later in the book, his wife. Mr. Elton tries it on with Emma by sucking up to her protegé, the illegitimate Harriet Smith. Emma thinks Elton is after Harriet and promotes the match. On a carriage ride alone with Mr. Elton Emma realizes that she is the object of his matrimonial schemes and rebuffs him. He is shocked with disgust at the idea that he should marry Harriet, a girl so lowly in birth. He goes away in a huff and marries the first rich woman he finds, who is as insufferable as he is. Emma credits herself with bringing her former governess and a family friend together at the start of the book, so she goes on to continue matchmaking, with disastrous results. Poor Harriet Smith is led to believe first that Mr. Elton is after her hand in marriage, and then that Mr. Knightley may be interested in her. But it is really the first man in her life, the farmer Robert Martin, who is Harriet’s true love. Emma made Harriet reject him early on as she didn’t think Robert good enough for Harriet. In the end, she comes to realize that he is a good man who will work hard and look after Harriet very well. Emma stops interfering in other people’s lives for a short while when Frank Churchill comes on the scene. Emma is smitten and begins to spend a lot of time with him. Mr. Knightley is jealous of all that time and tries to convince Emma that Frank is shallow. Emma takes delight in being nasty about a rival for Frank’s attention, the returned Jane Fairfax. Emma speculates that Jane had been rebuffed from her position because there was an affair with the man of the house. This is nothing but pure envy of how beautiful, gentle and talented Jane is and is unworthy behavior of Emma. Emma realises this when Jane and Frank marry, and when she herself is happily married, to Mr. Knightley!